We found the Apple Watch’s touchscreen display to be bright and beautiful right off the bat, but how does it really perform? According to a report done by research group DisplayMate, it stacks up nicely—but oddly enough, the Apple Watch Sport’s toughened “Ion-X” display performs better than the sapphire crystal found on the Apple Watch and Apple Watch Edition. DisplayMate found that the sapphire display reflects about twice as much ambient light as glass—8.2-percent reflectance compared to the Watch Sport’s 4.6 percent—which leads to a washed-out look with reduced contrast and color saturation when looking at the Watch under bright light. Most high-end traditional watches also use sapphire crystal since it is almost scratchproof, but the reflectance isn’t as big of a deal on a traditional watch face. 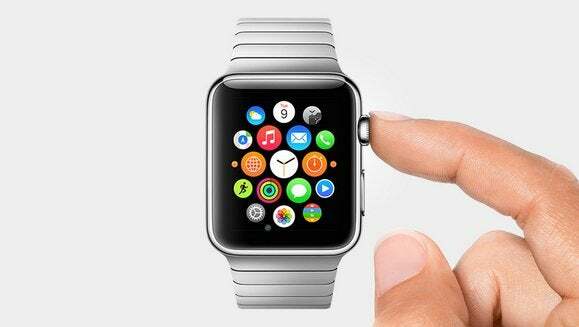 When looking at the Apple Watch’s full-color touchscreen display, that’s where reflectance will matter. Apple uses an anti-glare and reflective coating, but the coat can be easily scratched off under normal use, according to this report. The Watch Sport, on the other hand, uses the same glass as the iPhone 6—an Ion-X strengthened scratch-resistant glass, very similar to Corning Gorilla glass—and handles bright lights a bit better than its more-expensive Watch sisters. All three Watch models have a Flexible OLED display bonded to the sapphire crystal cover of the Watch and Watch Edition or the Ion-X cover glass of the Watch Sport. Why this matters: If you bought a Watch or a Watch Edition, fear not: Its sapphire crystal display is still excellent. DisplayMate’s report found it’s color accuracy to be “very good” (though with some color errors in the blue spectrum), its picture quality to be pleasing, and is a great side-by-side match with the iPhone 6. However, you might run into slight problems on a sunny day or under bright ambient light indoors—but it’s nothing that a quick shading with your other hand can’t fix. Sport users, rejoice—you’ll have less problems with glare, which will really come in handy when using your Watch Sport on outdoor jogs or bike rides. Have you noticed any big display problems with your Apple Watch? Let us know in the comments.